Grenada ( /ɡrᵻˈneɪdə/ grih-NAY-də) is a sovereign state in the southeastern Caribbean Sea consisting of the island of Grenada and six smaller islands at the southern end of the Grenadines island chain. It is located northwest of Trinidad and Tobago, northeast of Venezuela and southwest of Saint Vincent and the Grenadines. Its size is 348.5 square kilometres (134.6 sq mi), and it had an estimated population of 107,317 in 2016. Its capital is St. George's. Grenada is also known as the "Island of Spice" due to its production of nutmeg and mace crops, of which it is one of the world's largest exporters. The national bird of Grenada is the critically endangered Grenada dove. After French settlement and colonisation in 1650, the French named their colony "La Grenade". On 10 February 1763, the island of La Grenade was ceded to the British under the Treaty of Paris. The British renamed it "Grenada", one of many place name anglicisations they carried out on the island during this time. About 2 million years ago, Grenada was formed as an underwater volcano. Before the arrival of Europeans, Grenada was inhabited by Arawaks and, subsequently, Island Caribs. Christopher Columbus sighted Grenada in 1498 during his third voyage to the new world. In 1877 Grenada was made a Crown colony. Theophilus A. Marryshow founded the Representative Government Association (RGA) in 1917 to agitate for a new and participative constitutional dispensation for the Grenadian people. Partly as a result of Marryshow's lobbying, the Wood Commission of 1921–22 concluded that Grenada was ready for constitutional reform in the form of a modified Crown colony government. This modification granted Grenadians the right to elect five of the 15 members of the Legislative Council, on a restricted property franchise enabling the wealthiest 4% of adult Grenadians to vote. After the execution of Bishop, the People's Revolutionary Army (PRA) formed a military government with General Hudson Austin as chairman. The army declared a four-day total curfew, during which anyone leaving their home without approval would be shot on sight. When US troops withdrew from Grenada in December 1983, Nicholas Brathwaite of the National Democratic Congress was appointed prime minister of an interim administration by Scoon until elections could be organised. The first democratic elections since 1976 were held in December 1984 and were won by the Grenada National Party under Herbert Blaize who served as prime minister until his death in December 1989. On September 7, 2004, after being hurricane-free for 49 years, the island was directly hit by Hurricane Ivan. Ivan struck as a Category 3 hurricane and damaged or destroyed 90% of the island's homes. On July 14, 2005, Hurricane Emily, a Category 1 hurricane at the time, struck the northern part of the island with 80-knot (Template:Convert/km/h mph) winds, causing an estimated USD $110 million (EC$297 million) worth of damage. By December 2005, 96% of all hotel rooms were open for business and to have been upgraded in facilities and strengthened to an improved building code. The agricultural industry and in particular the nutmeg industry suffered serious losses, but that event has begun changes in crop management and it is hoped that as new nutmeg trees gradually mature, the industry will return to its pre-Ivan position as a major supplier in the Western world. On February 19, 2013, Prime Minister Keith Claudius Mitchell, 65, led the New National Party (NNP) to victory with a clean sweep of 15 seats. Mitchell is Grenada's ninth prime minister since it attained political independence from Britain in 1974. Grenada is a leading producer of several different spices. Cinnamon, cloves, ginger, mace, allspice, orange/citrus peels, wild coffee used by the locals, and especially nutmeg, providing 20% of the world supply, are all important exports. 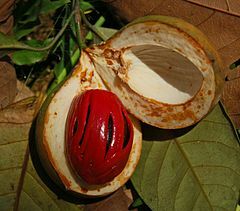 Grenada is the world's second largest producer of nutmeg (after Indonesia), with nutmeg depicted on the Grenadian flag. The Grenada Chocolate Company has pioneered the cultivation of organic cocoa, which is also processed into finished bars. In 2017, the Pure Chocolate Festival will be celebrating its fourth year of existence as a formal festival. Some of the activities which have taken place according to the website Grenada Chocolate Festival are visits to the cocoa farms which have been in existence for approximately one hundred (100) years and which are located in rainforests which are ecologically sensitive; dance the cocoa which is a traditional way to separate the skins from the seed of the cocoa or sample cocoa infused cuisine which may have been developed as part of the culture of the country. Grenada, like many of the Caribbean islands is subject to a large amount of migration, with a large number of young people wanting to leave the island to seek life elsewhere. With estimated 107,317 people living in Grenada, estimates and census data suggest that there are at least that number of Grenadian-born people in other parts of the Caribbean (such as Barbados and Trinidad) and at least that number again in First World countries. Popular migration points for Grenadians further north include New York City, Toronto, the United Kingdom (in particular, London and Yorkshire; see Grenadians in the UK) and sometimes Montreal, or as far south as Australia. This means that probably around a third of those born in Grenada still live there. English is the country's official language, but the main spoken language is either of two creole languages (Grenadian Creole English and Grenadian Creole French) which reflects the African, European, and native Indian heritage of the nation. The creoles contain elements from a variety of African languages; Grenadian Creole, however, is also influenced by French. Although French influence on Grenadian culture is much less visible than on other Caribbean islands, surnames and place names in French remain, and the everyday language is laced with French words and the local dialect, or Patois. Stronger French influence is found in the well seasoned spicy food and styles of cooking similar to those found in New Orleans, and some French architecture has survived from the 1700s. Island culture is heavily influenced by the African roots of most of the Grenadians, but Indian and Carib Amerindian influence is also seen with dhal puri, rotis, Indian sweets, cassava and curries in the cuisine. Grenada has competed in every Summer Olympics since the 1984 Summer Olympics in Los Angeles. Kirani James won the first Olympic gold medal for Grenada in the men's 400 meters in 2012 and silver in 2016. ^ "Government of Grenada Website". ^ a b c "Grenada". The World Factbook. Central Intelligence Agency (CIA). https://www.cia.gov/library/publications/the-world-factbook/geos/gj.html. Retrieved 2012-03-19. ^ a b c d "Grenada". International Monetary Fund. 2018. http://www.imf.org/external/pubs/ft/weo/2018/01/weodata/weorept.aspx?sy=2017&ey=2020&scsm=1&ssd=1&sort=country&ds=.&br=1&pr1.x=77&pr1.y=4&c=328&s=NGDP_RPCH%2CNGDPD%2CPPPGDP%2CNGDPDPC%2CPPPPC&grp=0&a=. Retrieved 1 April 2018. 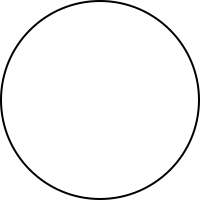 ^ a b Crask, Paul (2009-01-01) (in en). Grenada, Carriacou and Petite Martinique. Bradt Travel Guides. p. 5. ISBN 9781841622743. https://books.google.com/books?id=Gs4ntEW202sC&pg=PA6&dq=grenada+name&hl=en&sa=X&ved=0ahUKEwj-9MGZno3TAhXIDMAKHbRzALcQ6AEIITAB#v=onepage&q=grenada%20name&f=false. ^ Viechweg, Raymond D. (2017-04-05) (in en). Grenada Uncovered: An Uncommon View of the Island's Geocultural Beauty. Trafford Publishing. p. 11. ISBN 9781426926051. https://books.google.com/books?id=Qfqwcul7MPMC&pg=PT11&dq=grenada+name&hl=en&sa=X&ved=0ahUKEwj-9MGZno3TAhXIDMAKHbRzALcQ6AEIHDAA#v=onepage&q=grenada%20name&f=false. ^ Crask, Paul (2009-01-01) (in en). Grenada, Carriacou and Petite Martinique. Bradt Travel Guides. p. 6. ISBN 9781841622743. https://books.google.com/books?id=Gs4ntEW202sC&pg=PA6&dq=grenada+name&hl=en&sa=X&ved=0ahUKEwj-9MGZno3TAhXIDMAKHbRzALcQ6AEIITAB#v=onepage&q=grenada%20name&f=false. ^ Crask, Paul (2009-01-01) (in en). Grenada, Carriacou and Petite Martinique. Bradt Travel Guides. p. 7. ISBN 9781841622743. https://books.google.com/books?id=Gs4ntEW202sC&pg=PA6&dq=grenada+name&hl=en&sa=X&ved=0ahUKEwj-9MGZno3TAhXIDMAKHbRzALcQ6AEIITAB#v=onepage&q=grenada%20name&f=false. ^ "Grenada Nutmeg – GCNA – Organic Nutmeg Producers, Nutmeg Oil – Nutmeg trees – Nutmeg farming in Grenada". Travelgrenada.com. http://www.travelgrenada.com/gcna.htm. Retrieved 2012-03-19. ^ "From Old Representative System to Crown Colony". Bigdrumnation.org. 2008-07-01. http://www.bigdrumnation.org/comments/crowncolony.html. Retrieved 2012-03-19. ^ a b "1951 and Coming of General Elections". BigDrumNation. http://www.bigdrumnation.org/comments/1stgeneralelection.html. Retrieved 2012-03-19. ^ Anthony Payne, Paul Sutton and Tony Thorndike (1984). "Grenada: Revolution and Invasion". Croom Helm. https://books.google.com/books?id=3agOAAAAQAAJ&printsec=frontcover#v=onepage&q=&f=false. Retrieved 2009-09-10. ^ a b Gailey, Phil; Warren Weaver Jr. (March 26, 1983). "Grenada". New York Times. https://select.nytimes.com/gst/abstract.html?res=F30C12F6385D0C758EDDAA0894DB484D81&scp=20&sq=grenada&st=nyt. Retrieved 2010-07-11. ^ Julie Wolf (1999–2000). "The Invasion of Grenada". PBS: The American Experience (Reagan). https://www.pbs.org/wgbh/amex/reagan/peopleevents/pande07.html. Retrieved 2009-09-10. ^ "United Nations General Assembly resolution 38/7". United Nations. November 2, 1983. Archived from the original on March 16, 2008. https://web.archive.org/web/20080316093428/http://www.un.org/Depts/dhl/res/resa38.htm. ^ "Assembly calls for cessation of "armed intervention" in Grenada". UN Chronicle. 1984. http://findarticles.com/p/articles/mi_m1309/is_v21/ai_3073305. ^ Richard Bernstein (October 29, 1983). "U.S. VETOES U.N. RESOLUTION 'DEPLORING' GRENADA INVASION". The New York Times. 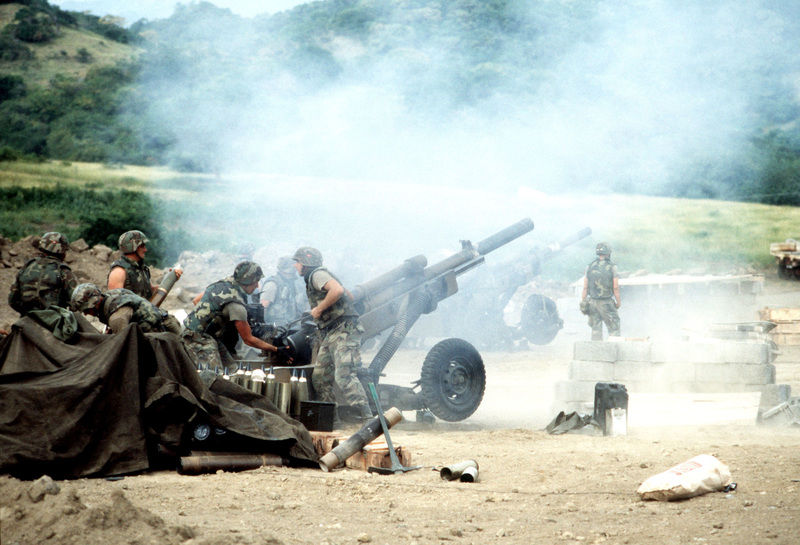 https://www.nytimes.com/1983/10/29/world/us-vetoes-un-resolution-deploring-grenada-invasion.html. Retrieved July 8, 2012. ^ "Grenada: Bandleader Loses Job in Chinese Anthem Gaffe". New York Times. Associated Press. February 8, 2007. https://www.nytimes.com/2007/02/08/world/americas/08briefs-grenadagaffe.html. Retrieved 2008-08-05. ^ "BBCCaribbean.com | Grenada goofs: anthem mix up". BBC. 2007-02-05. http://www.bbc.co.uk/caribbean/news/story/2007/02/070205_grendiplomatic2.shtml. Retrieved 2010-06-28. ^ Font size Print E-mail Share 7 Comments By Scott Conroy (2007-02-03). "Taiwan Anthem Played For China Officials". CBS News. http://www.cbsnews.com/stories/2007/02/04/world/main2429938.shtml. Retrieved 2010-06-28. ^ "Member States". OAS. http://www.oas.org/en/member_states/default.asp. Retrieved 2017-05-18. 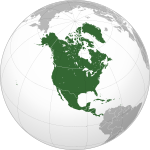 ^ "SLA :: Department of International Law (DIL) :: Inter-American Treaties". OAS. http://www.oas.org/en/sla/dil/inter_american_treaties_A-41_charter_OAS.asp. Retrieved 2017-05-18. ^ "Member State :: Grenada". OAS. http://www.oas.org/en/member_states/member_state.asp?sCode=GRE. Retrieved 2017-05-18. ^ "Archived copy". Archived from the original on 2014-11-29. https://web.archive.org/web/20141129153421/http://www.summit-americas.org/default_en.htm. Retrieved 2014-11-24. ^ "Foreign Account Tax Compliance Act (FATCA)". Treasury.gov. https://www.treasury.gov/resource-center/tax-policy/treaties/Pages/FATCA.aspx. Retrieved 2017-05-18. ^ "Welcome to the OECS". Oecs.org. http://www.oecs.org/. Retrieved 2010-06-28. ^ "The 10 Best Beaches in the World". The Daily Telegraph (London). https://www.telegraph.co.uk/core/Slideshow/slideshowContentFrameFragXL.jhtml?xml=/travel/slideshow/bestbeaches/pixbestbeaches1.xml&site=. ^ Cruisemanic. "Top 10 Things to Do in Grenada". Cruise Panorama. http://www.cruise-panorama.com/grenada-the-number-one-of-popular-cruise-destinations/. ^ "Scholarships". OAS. http://www.oas.org/en/scholarships/regularprogram/consortium.asp. Retrieved 2017-05-18. ^ a b "Central America and Caribbean :: GRENADA". CIA The World Factbook. https://www.cia.gov/library/publications/the-world-factbook/geos/gj.html. ^ "Other Matches played by Grenada". CricketArchive. https://cricketarchive.com/Archive/Teams/1/1853/Other_Matches.html. Retrieved 9 August 2014. ^ "Twenty20 Matches played by Grenada". CricketArchive. https://cricketarchive.com/Archive/Teams/1/1853/Twenty20_Matches.html. Retrieved 9 August 2014. "Grenada Heritage". Grenadaheritage.com. Archived from the original on 2011-05-10. https://web.archive.org/web/20110510072846/http://grenadaheritage.com/default.aspx. Retrieved 2010-06-28. This page uses content from the English language Wikipedia. The original content was at Grenada. The list of authors can be seen in the page history. As with this Familypedia wiki, the content of Wikipedia is available under the Creative Commons License.